Castlemaine Press members’ exhibition and sale. Inclusion of your prints in the 2018 Christmas print sale. 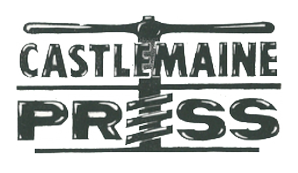 Castlemaine Press will throw open the doors for a weekend of Christmas shopping and celebration. Buy art for Christmas, and feel good. Weekend sale opening hours: 1.00pm – 5.00pm, Saturday 1 and Sunday 2.